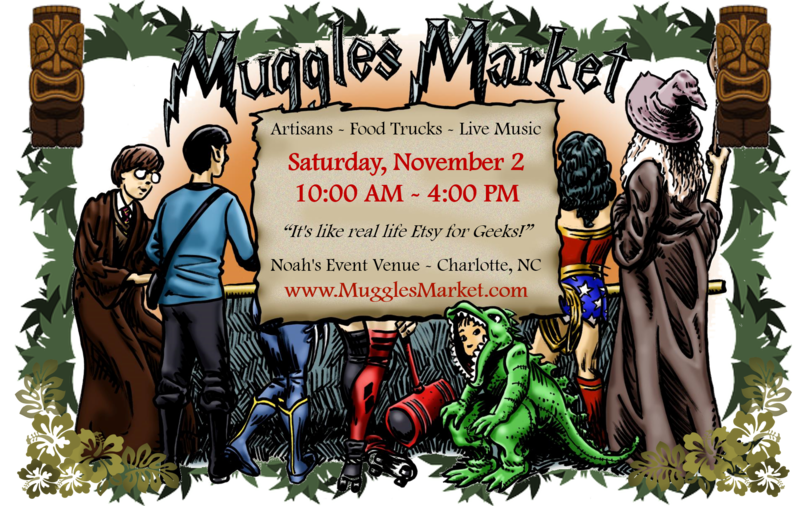 We are so pleased to announce that food trucks will again be part of this year’s Muggles Market! Check back to see what food trucks are added! Know a food truck that should be there? Have them apply below! Want to be considered for this year’s Muggles Market? Please complete the form below! Estimated 1,500 – 3,000+ attendees based on last few year’s estimated numbers. Free marketing and promotion of the event including featured spotlight of your business on our website and social media, as well as possible articles and podcast appearances. Truck selections will be made on the basis of your provided menu and availability. Upon acceptance, food truck is expected to return copies of your business license/permit, your most recent Health Dept. Inspection, and of your COI. Set-up must be complete before your requested time slot on event day. Space assignments will be completed by Geek Gala staff, based on generator loudness and length of truck/trailer. Trucks should be self-contained for water, electricity, lighting, etc. There will be parking lot and street lighting only at the Muggles Market. In the event of inclement weather, the Muggles Market will still occur and every effort will be made to continue the outside activities, possibly with a reduced number of trucks. For a total washout prediction, staff will notify trucks of cancellation by 7:00 AM on event day, or as soon as possible. Trucks must post prices conspicuously and legibly. All food items must be stored appropriately, inside the truck. Please do not pour grease or other contaminants on the grounds. Trucks should provide hand washing materials, and trash container and liners. Applicant shall indemnify and hold harmless the Geek Gala, Noah’s Event Venue, and all associated agents, volunteers, and employees from and against all losses, costs, damages, expense, and liability caused by an accident or other occurrence in bodily injury, including death, sickness and disease to any person, or damage or destruction to property, real or personal, arising directly or indirectly from Applicant’s operations, products or services at the this event. Applicant agrees to waive, release, and discharge the the Geek Gala, Noah’s Event Venue, and all associated agents, volunteers, and employees, of and from any and all claims, demands, costs, liability and causes of action that may arise as a result of Applicant’s participation in this event, including but not limited to, any claims, causes of action, liability, damages, demands and costs related to injury to Applicant’s person or property. This waiver and release shall inure to the benefit of theaforementioned and shall bind applicant along with its employees, heirs, legal representatives, assigns and successors in interest of the Applicant of any member thereof. What is the name on your food truck? Maybe, but I would need help coming up with ideas. Food trucks that offered themed items like butter beer reported a huge amount of sales. We are happy to help offer suggestions on ways to bring the crowds to your truck window! I agree to the Guidelines set forth on this application website, and attest to the validity and authenticity of the information contained herein. Feel free to add any additional questions, comments, or information you want to know or share.